Effective March 31, 2019 the discount rate for pension obligations according to IFRS/US-GAAP is 1.40 % p.a. for a typical mixed portfolio consisting of members entitled to future benefits and retirees. The HGB (“German Commercial Code”) discount rate (duration 15 years) amounts to 3.07 % p.a. using a 10-year average and 2.23 % p.a. using a 7-year average. Based on the current capital market level, the expected HGB discount rate on December 31, 2019 is 2.75% p.a. (10-year average) and 2.02 % p.a. (7-year average). 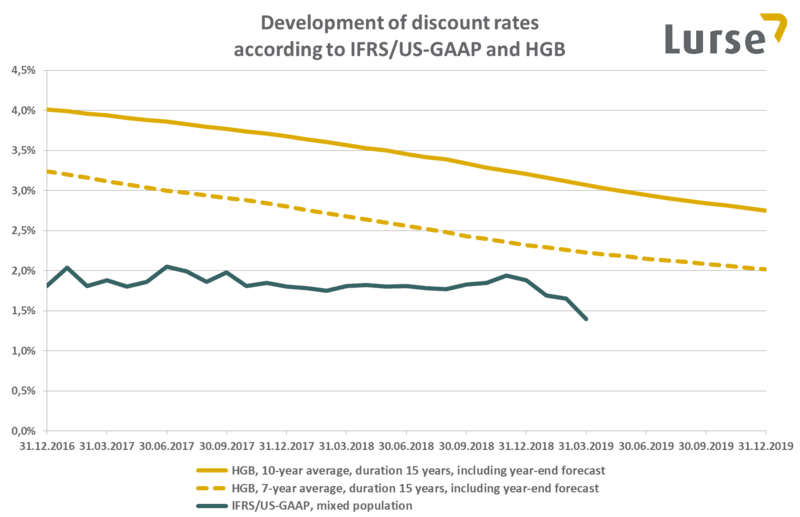 The forecast for the further development of the HGB discount rates, as well as the methodology behind the derivation of discount rates, are illustrated below. The discount rate for pension obligations according to HGB is determined by averaging the market yields for the last 10 years, and generally a duration of 15 years is applied (simplification rule of Section 253 Paragraph 2 HGB). In addition to the 10-year average discount rate, disclosures require obligations to be determined using a 7-year average discount rate. Any resultant gains due to the difference may not be distributed. Further, the averaging over 7 years is also required for other types of benefit obligations such as jubilee and part-time retirement obligations. We will gladly calculate the impact of projected discount rates on your pension obligations and expenses within the scope of a forecast calculation. We can also provide you with the expected HGB discount rates for other dates during the course of year. Furthermore, if necessary, we will determine the expected discount rates for durations varying by 15 years, such as for the valuation of part-time retirement obligations. In this case, a duration of 3 years is regularly assumed; however, according to the simplification rule a duration of 15 years may be assumed. The depicted discount rates are based on the valuation of typical obligation portfolios with common pension promises. According to IFRS and US-GAAP, when valuating pension obligations the discount rate must be determined based on “high quality corporate bonds” in conjunction with the duration of the obligation. 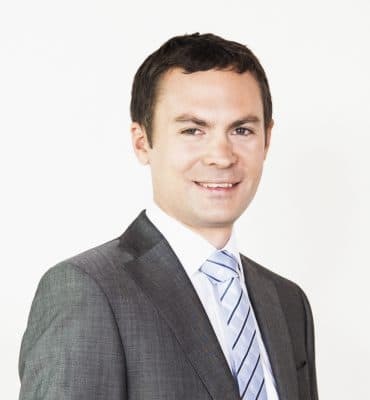 Our procedure for the calculation of discount rates is based on the yield curve of German government bonds released by the Deutsche Bundesbank (“German Central Bank”) on each trading day (risk-free interest rate). Depending on the duration, spreads are determined using the yields published by iBoxx for AA corporate bonds in the euro zone. Finally, these spreads are added to the corresponding risk-free discount rate. We would be happy to introduce you to other procedures to determine discount rates applicable to your company.